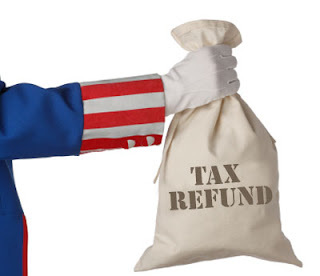 Refunds totaling more than $1 billion may be waiting for one million people who did not file a federal income tax return for 2008, the Internal Revenue Service announced today. However, to collect the money, a return for 2008 must be filed with the IRS no later than Tuesday, April 17, 2012. By failing to file a return, people stand to lose more than refunds of taxes withheld or paid during 2008. Some people, especially those who did not receive an economic stimulus payment in 2008, may qualify for the Recovery Rebate Credit. In addition, many low-and moderate-income workers may not have claimed the Earned Income Tax Credit (EITC). The EITC helps individuals and families whose incomes are below certain thresholds.